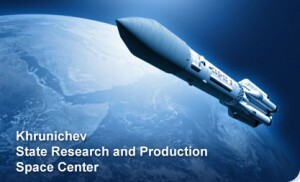 Vladimir Nesterov, director general of the Khrunichev State Research and Production Space Center, has resigned following the failure of a Proton rocket to place two communications satellites in their proper orbits last week, Russian media sources report. Nesterov resigned on Wednesday, a day after President Dmitry Medvedev held a meeting to reprimand Russian space officials over the latest launch failure. Deputy Prime Minister Dmitry Rogozin also severely criticized the Khrunichev boss on Monday. Khrunichev produces both the Proton rocket and the Breeze-M upper stage used to loft communications satellites into geosynchronous orbit. During last week’s launch, the Proton performed nominally while the Breeze-M shut down prematurely, stranding the Russian Ekspress-MD2 and Indonesian Telkom-3 communications satellites in useless orbits. Russia has suffered seven rocket accidents since December 2010, resulting in the loss of 10 spacecraft. The rash of failure launches has exposed deep, systemic problems within the Russian space industry and cost billions of rubles in income. First – this is an old industrial base: 90% of capacity in operation for over 20 years, they must be replaced. Second – there is a weak base is an electronic component, which is a common disaster for our industry, and for the space industry in particular. In addition, our rocket and space technology is not fully secured the necessary construction materials, and it is also a problem. All this leads to various kinds of failures at various stages of operation. And the third problem – Personnel: lack of skilled workers, the aging of scientific and operational skills. Number of employees up to 30 years in the industry now stands at 20 percent with a little – it’s a real problem. Medvedev gave Roscosmos head Vladimir Popovkin one month to develop a plan to address organizational deficiencies and quality control problems in the space industry. The Russian prime minister said he would then hold a meeting with all key business sectors to develop a plan for moving forward. Rogozin, whom President Vladimir Putin appointed as a special czar to oversee the space and defense sectors last December, cited a lack of a modern quality control system as the cause of recent accidents, Interfax-AVN reports. Russian Deputy Prime Minister Dmitry Rogozin has promised to personally supervise the development and introduction of the space rocket industry’s quality control system. Rogozin harshly criticized the work of Khrunichev State Space Research and Production Center General Director Vladimir Nesterov and Roscosmos chief Vladimir Popovkin, vowing to personally oversee all of the required reforms within Russia’s space rocket sector and “manually” coordinate the development of a quality control system at the industry’s enterprises, he said. This is an interesting decision. Although Rogozin certainly knows his way around politics, he likely knows little about rockets. His undergraduate degrees are in journalism and economics while his doctorate is in philosophy. He seems an odd choice to personally oversee the development and introduction of the industry’s new quality control system. Meanwhile, the search for the cause of this most recent launch accident continues. Roscosmos has appointed an investigative commission headed by O.P. Skorobogatov, the first deputy director of TsNIIMash. The commission has formed six working groups. Citing sources at Khrunichev, RussianSpaceWeb.com reports “that available telemetry from the failed mission had indicated unexplained pressure fluctuations in the pressurization line and associated gas tank of the pneumatic and hydraulic system, or PGS. The system is critical for forcing propellant from its tanks into the engine. There were apparently several instances of ‘disappearing’ and ‘reappearing’ pressure in the sensor data. They’re going after scapegoats, when the real problems are directly linked to the lousy pay and excessive central control in the space system. Until they make it ‘cool’ for entrepreneurs… cool for a generation that won’t consider it a Soviet relic… they are only going to dig themselves a deeper hole. Rogozin used to keep a portrait of Stalin on his wall (i mean recently), Putin wants to maintain as much control over the society as he can while he and his pet oligarchs and fellow ex-KGB take a lot off the top and he made Medvedev look like a fool when they swapped jobs. How many times can one say that Russia doesn’t deserve “leaders” like this? And so, he opened the second letter which said ..